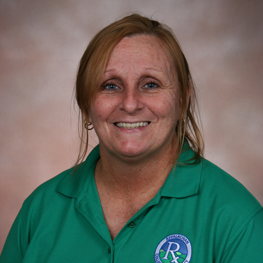 Sherry Sutherland has been a part of the Housekeeping Staff at Appalachian College of Pharmacy since 2006. Before coming to ACP, she worked for Dustbusters Cleaning Service. Sherry is a lifelong resident of Buchanan County and attended Garden High School. Sherry and her husband, Gary, live in Grundy, Virginia. Together they have six children and ten grandchildren. In her time away from ACP, she enjoys church activities and spending time with her husband, children and grandchildren.